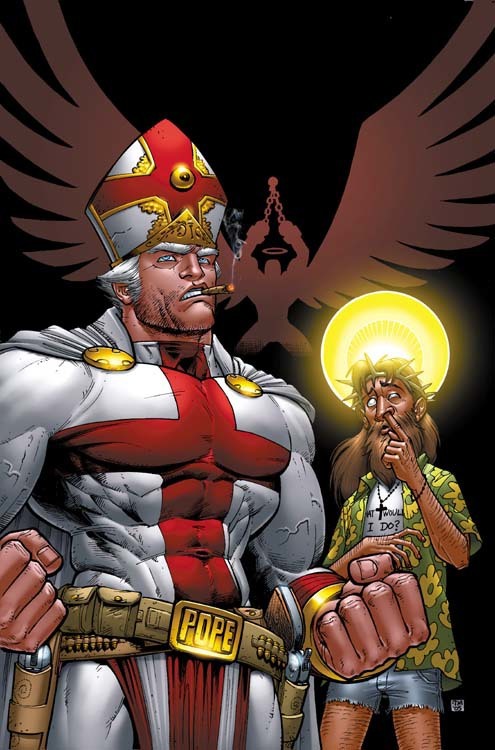 Battle Pope is an independent comic book co-created by Tony Moore. Originally published under the small-press label of "Funk-O-Tron" in 2000. The series was reprinted in color by Image Comics in 2005,. The book tells the tale of a hard drinking, womanizing Pope condemned by God for his own evil ways, who is called to action to save Saint Michael, with the help of Jesus H. Christ.